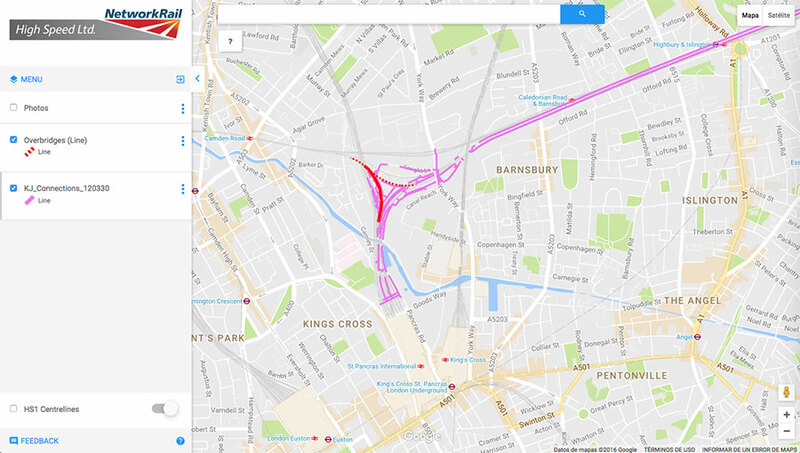 "Since the beginning of 2016, we’ve digitized 75 percent of the HS1 civil engineering assets into the NRHS Route Model due to the Snowdrop Solutions development with Google Maps"
Who is Network Rail (High Speed)? 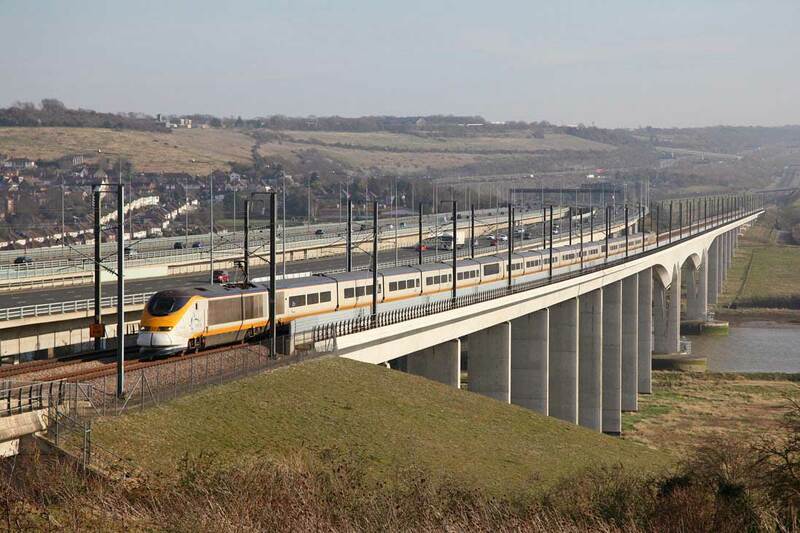 Network Rail (High Speed) operates and maintains the High Speed 1 (HS1) railway route between London and the Eurotunnel terminal. This 109-kilometer route, used for domestic and international train services as well as transporting freight, includes more than 12,000 bridges, tunnels, security fences and drainage systems that the civil engineering team oversees. What did NRHS want to achieve? Before 2015, Network Rail (High Speed) were using spreadsheets, databases and disparate systems to catalog information about the infrastructure. Their team had no centralized way to manage data about the civil engineering assets — for instance, whether a tunnel is in a flood-warning zone and therefore what are the critical drainage assets in the area around the tunnel that the team need to be aware of. Network Rail (High Speed) was looking for a strategic solution that would enable engineers to visualise assets and asset condition and to identify a suitable platform to support future maintenance records. In order to keep the high speed trains operating to schedule there is a significant amount of ‘behind the scenes’ work that needs to be undertaken on a daily basis, including the management of many thousands of assets. 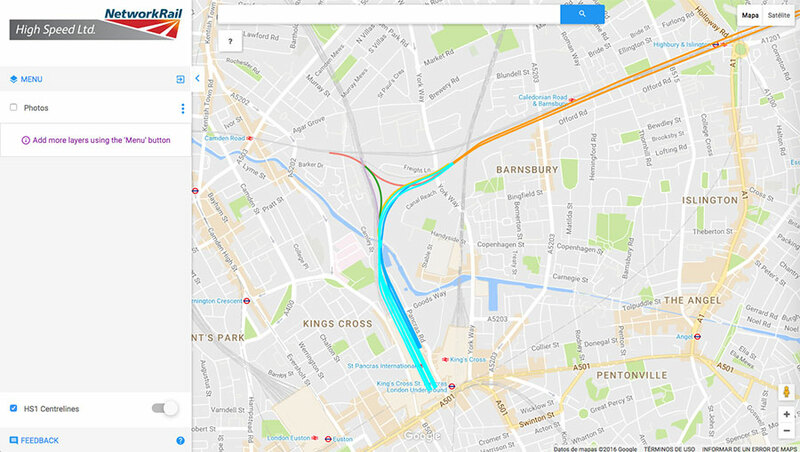 Network Rail (High Speed) turned to Google Maps and Snowdrop Solutions for a solution, combining the use of Google Map APIs, Google Cloud and Google G Suite along with Snowdrop Tools to develop a user friendly, familiar and approachable solution. This way, the team is able to store all the information from hund separate datasets in one place and in a format which was easy to view and manipulate. They can also perform faster, more appropriate maintenance, and the engineers can quickly dispatch technicians to fix problems because they now have all the information about the repair at their fingertips. The Snowdrop development with Google Maps has played a large part in the visualisation of rail assets. Mark O’Connor, Civil Engineer at Network Rail (High Speed) said, “We now think in maps and location rather than spreadsheets, which gives us a comprehensive view of the entire route. Since the beginning of 2016, we’ve digitized 75 percent of the HS1 civil engineering assets into the NRHS Route Model." 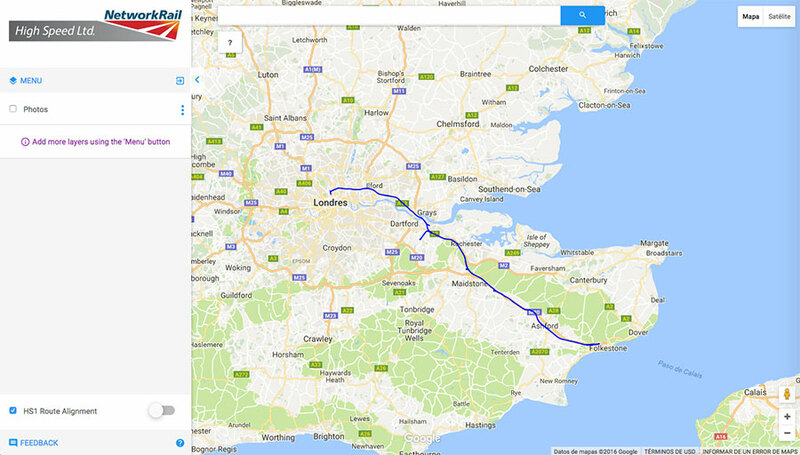 The Route Model uses the Google Maps Geocoding API in combination with a bespoke coordinate transformation tool developed by Snowdrop. 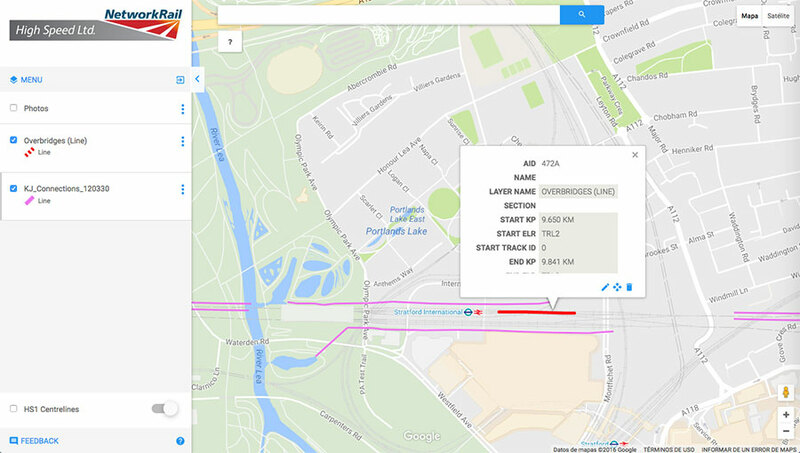 The tool is able to convert latitude and longitude coordinates into kilometre points, the unique reference markers for HS1. Due to the flexibility of the Snowdrop Tools, Network Rail (High Speed) were able to specify the parameters for the kilometre points aligning the Route Model with the operational requirements for HS1.